At the Walk IN Foot Clinic we are pleased to announce that we are now registered users of the RS Scan International assessment program, of which we are only a handful of clinics able to offer this assessment. 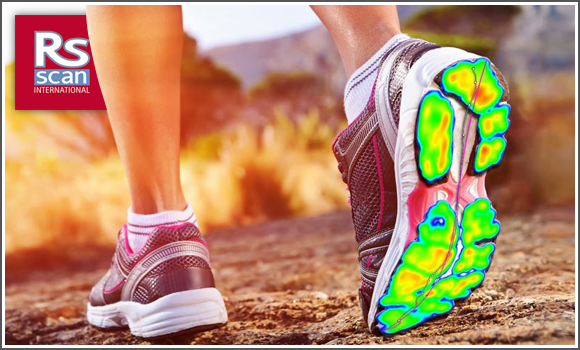 RS Scan is the only technology that The Walk IN Foot Clinic use in conjunction with your biomechanical assessment. 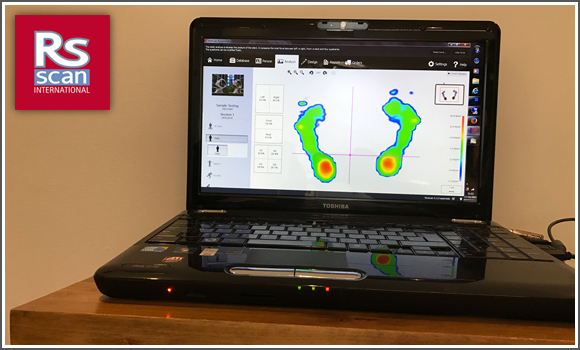 RS Scan International are leaders in plantar pressure measurement analysis and at The Walk IN Foot Clinic both athletes and patients can benefit from an assessment when you book an appointment. Athletes would benefit from a functional foot orthotic. We have seen several cases of residual clubfoot causing pain and/or skin break down. Like much of the general population, we are seeing an increase in diabetes, thus the pressure data is important to help with prevention of ulcers. The new RS Scan assessment compliments our current exam as many of our athletes have balance problems for various reasons. Identify & analyze foot function pathologies with unique pressure & timing information. Offloading areas of high pressure is key in effective treatment & prevention of pressure ulcers. Prevent Ulcer Incidence and Promote Healing Pressure mapping allows us to redistribute pressure from at-risk areas and evaluate treatments. There’s a reason why the most prestigious institutions and respected clinicians in the world use this technology. This technology senses what the patient cannot feel and what the clinician can’t see. RS Scan technology gives real-time feedback to relieve areas of highly concentrated pressure, whether it’s a potential ulcer, spinal cord injury or prosthetic. Pressure mapping allows us to redistribute pressure from at-risk areas and this quantifiable, visual feedback is extremely valuable for patient education to increase compliance and documentation. This is ideal for use as a quick screening tool for at risk patients so we can screen areas for potential ulcers, display peak pressure profiles and contact area, and generate comprehensive reports. This allows us to easily prescribe evidence-based orthotics by confirming the orthotic successfully redistributed high pressure. The RS Scan pressure sensitive mat will help devise a treatment plan for successful realignments by assessing which particular muscles need improvement. Help re-align the lower limb & maintain optimal posture. Using the RS Scan pressure mat to assess plantar pressure, weight distribution and Center of Force (CoF) while the patient is standing or performing knee flexions helps identify muscle balance and lower limb alignment. The physiological method of muscular training to re-align posture or align the lower limb is often neglected and is a cause leading to the failure of successful re-alignments. With the patient in the desired position on the RS Scan footscan®, weak muscles can be determined and a training plan identified, and then provide a plan for rehabilitation. The patient will then be on the way to recovery. If you would like to make an initial booking enquiry for a RS Scan – Foot Scanning assessment at the Walk IN Foot Clinic then please submit your details below with a preferred day and we will get back to you as soon as possible with a confirmation of your appointment or suggest an alernative.